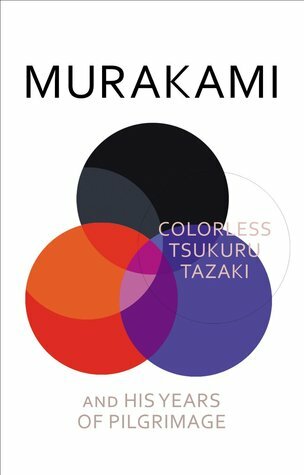 After his last novel, 1Q84, which spread out across three volumes and over 900 pages, Japanese author Haruki Murakami has reigned himself in to about a third of that length with Colorless Tsukuru Tazaki and His Years of Pilgrimage (translated by Philip Gabriel). Many of the hallmark features familiar to readers of his work – lonely protagonists, idiosyncratic obsessions, surreal dreams and fantasies, musical reference points – are all present here. But is it enough to satisfy fans who might have drifted away or, at least, have been overwhelmed by his previous offering? This time out our hero, or rather anti-hero, is Tsukuru Tazaki, a young man from an upper middle class family in Nagoya, Japan, who is part of an especially close group of five friends throughout his high school years. The only thing that sets him apart from his friends, two other boys and two girls, is that they each have a name that incorporates a colour while he does not. His “colourlessness” is a huge source of distress for him as he seems destined to continue to encounter people who also have colourful names. When his friends inexplicably cut him off one year after he moves Tokyo to pursue his dream of constructing train stations, Tsukuru falls into a deep depression and his long years of pilgrimage begin (cue the Franz Liszt). No matter what success he achieves in his career, his friends’ rejection not only haunts him, but continues to create a barrier to his ability to form long term friendships or relationships. There was a time when I eagerly devoured Murakami’s work, delighting in its dreamlike quirkiness. I don’t know whether I have changed or he just isn’t trying as hard. I found it difficult to engage with the main character or any of his friends or acquaintances. The long straightforward descriptive passages of each character’s personality, appearance, clothing seem indicative of what I would expect from a much less accomplished writer. I wanted to shout “show, don’t tell”. I will admit that about halfway through, the story did become more engaging as Tsukuru began to actively seek explanations to the cause of his estrangement from his friends once he was well into his 30’s. And on a personal level I found moments of connection with the underlying themes of loneliness and alienation, but I still found myself less satisfied than I might have hoped. It saddens me to reflect that, more than anything, this novel appears to make a great effort to live up to its title – Colorless. The charm of Murakami’s earlier work – birds, cats, surreal spaces are gone. There are dreams and odd connections but none sustain a significant element of magic for me. I was left with the sense that its spare, fable quality would have been far better suited to a work half the length. International Foreign Fiction Prize 2015: Many predicted this would make the longlist and so it did. (Published in the UK by Harvill Secker.) My feelings may be ambivalent but I do know that many other readers thoroughly enjoyed this book so we will see how it fares going forward.